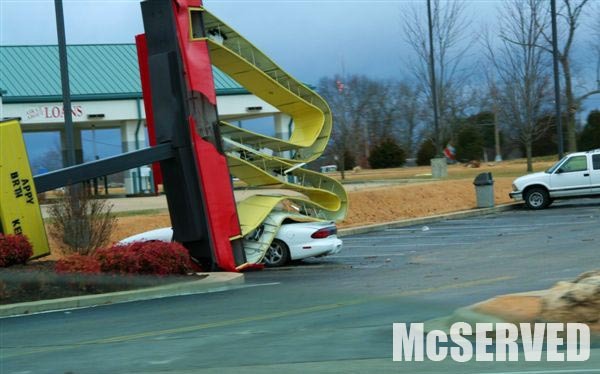 EXECUTIVE PARKING ONLY AT McDs | McServed: Getting Served McDonalds Fast Food Funnies, Laughs and More! Kids, don’t forget where we parked! Lame stuff there, how do you park there? They have fine moments too. any idas how this happen? The picture next to the word “justice” in the dictionary. haha, reminds me of the day when i was at the drive thru and the mcd’s guy had to sctrach his head coz the guys in the car behind me asked for madagascar fries! the guy was like apa?? and promptly told the guy they didn’t have such fries. aiyo, too many terms lah.